A simple and casual case of The Blues (and tans) today. Hope you’re having a great week! I love the different shades of blue in this outfit! Those shorts are super cute!! Loving the pleats in those shorts – makes them just the right amount of unconventional! And I love when you wear those shoes – they are gorgeous! I love that blouse! Blue looks so good on you too. Wow those shorts, love! Your casual beats my dressy outfits any day. Those shorts are very unique. Like the patterns. And you look good in all the shades of blues. Love those printed shorts! Such a fun breezy outfit! This is basically my uniform for the summer! Love, love those shorts! Love it! 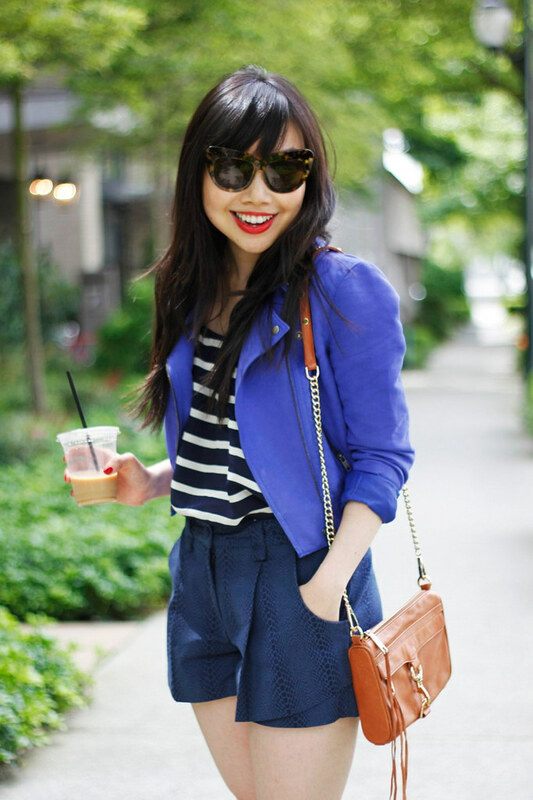 Perfect pairing – lovvveee that jacket! You have the cropped jacket down to a science. I really need to find a few good pieces. LOVING the blue mixtures. Also, you may not hear this often, but you have really nice legs. You are too cute. Loving you’re little blue ensemble, especially the jacket. NEED! You look so lovely in blue! Love the whole outfit! Cute shorts & love the heels! I absolutely love the texture of your shorts! Jagex Activity Companies is located in Arlington, UK, has won several Maplestory Mesos action awards, a organization targeted on the development of high-quality web activities, the UK’s greatest individual action manufacturer and creator of providers. A while, by benefits of their own durability, Jagex has won several gamers for the globally development of the best, most well-known, high-quality, non army inhabitants of the 100 % definitely 100 % totally free action “and” provides the best action being affected by places encounter “good popularity. So far, Jagex Guild Wars 2 Gold has developed and launched more than 40 activities, such as most globally gamers welcome 100 % definitely 100 % totally free multi-player online web activities – RuneScape and how to buy .